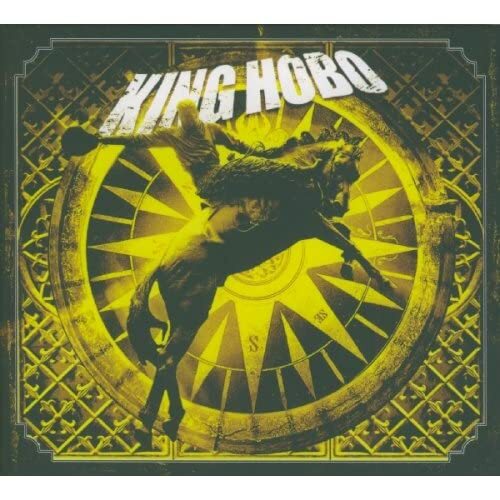 Featuring members from two of my favorite bands, Clutch and Opeth, I have decided to make King Hobo's self-titled debut the Album Of The Day. "One wouldn't expect anyone but the girlfriends dragged along to the 2005 edition of the "Sounds Of The Underground" tour to be singing the blues, but apparently this was not the case. The trek inspired a series of parking lot jam sessions which saw members of Clutch, Opeth and more freely express their other musical vices. These sessions eventually evolved into King Hobo, a bluesy-funk based affair spearheaded by Opeth keyboardist Per Wiberg and Clutch drummer Jean-Paul Gaster. Aided by members of Kamchatka, Five Horse Johnson and other like-minded compatriots, King Hobo has evolved into a group strong enough to stand on their own - though admittedly the possibility of that ever happening is highly unlikely. Instead one will have to settle for an albums worth of groovy, bluesy, funkified rock that recalls Deep Purple as much as it does Medeski, Martin & Wood and funk fixtures like The Meters. Indeed, bottom-heavy ballsy rock n' roll mixed with musty funk created when vinyl was the de facto format is the order of the day here and a vanity project this is not. Rather, this is a gut-felt homage to music from a different era and surprisingly, it delivers. Raucous and yearning tracks flush with soulful slide guitars, in the pocket drumming and funky bass lines take King Hobo to places even Clutch and The Bakerton Group have yet to fully explore. There is a bit of indulgence here and there as instrumental traffic jams can get a bit out of control, but generally the tracks are reigned in, making way for soul-searching moody ballads like "Rolling In From The Sea", which utterly captivate. Truthfully, the only potential hindrance is Wiberg's vocals, which while soulful enough, can suffer from the occasional odd enunciation. But what Wiberg mildly lacks in vocal prowess, he more than makes up for in his impressive talents behind the keys, which he routinely takes full advantage of.